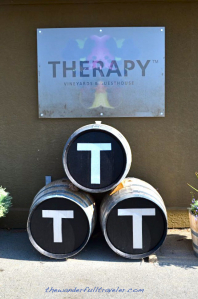 Therapy Vineyards overlooks green vineyards of rolling hills that drop off with a thrust of caramel clay that disappears into the blue Okanagan Lake. The view itself could be therapy for any soul in need of inspiration and calm. But wine always helps and despite the cliche I do believe it is bottled poetry with the vast array of flavours and the way it can leave your tongue dry or salivating for more. Therapy Vineyards provides wine for every palate, a novice or refined, and within every price range. For those looking to try something new for a small cost or someone looking to add a one of a kind bottle to their collection Therapy does not disappoint. 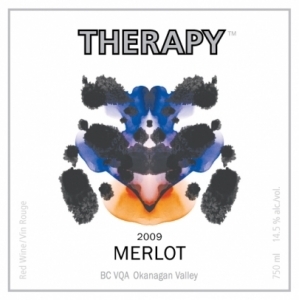 Therapy Vineyards employs Sigmund Freud in clever and humorous ways upon their labels. Their delicious rose, with notes of late summer fruits such as cherries, raspberries, plums and cranberries, is called Pink Freud. My favourite red, with the heavy smoky and earthy flavours, is called Super Ego. 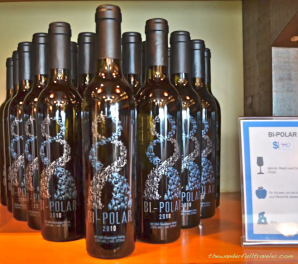 Their newest members of the Therapy family is Bi-Polar, a sweet ice wine unique to British Columbia, and Fizziotherapy series which is a bubbly available in both white and red, however I found the red to lack bubbles and appeared as a rose with a red wine taste. 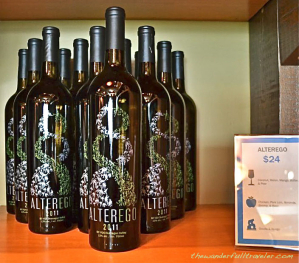 The Alter Ego is also a new wine with rich flavours of coconut and a buttery finish. Freudian Sip – A dry white wine that is a proprietor’s secret blend and has flavours of tropical fruits, grapefruit and citrus. Freud’s Ego – Their most popular red when you are first introduced to their wines. Pinot Noir, Pinot Gris, Chardonnay, Sauvingon Blanc & Merlot – All bottles have Rorschach test images upon them in various colours. Would make an ideal gift for any studying psychiatrist or someone in need of some wine therapy. “The Angels and Demons woven together as a strand of DNA represents the good and bad in all of us.” “Okanagan Hills” by Leanne Spanza, winner of the 2011 Artist Series Contest hosted by Therapy Vineyards. Artist Series – A contest is held by Therapy to artists that submit their work to be on a Therapy wine label. 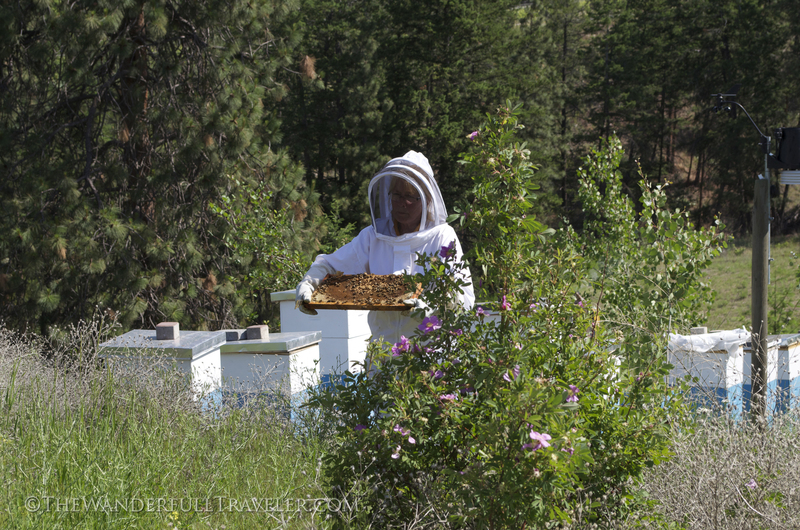 In 2011 it was Leanne Spanza and her work “Okanagan Hills”. 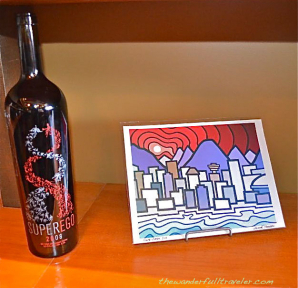 When an artist is selected the winery hosts an event where avid wine collectors or those just interested in wine or art can visit the winery and have their one of a kind bottle signed by the artist. 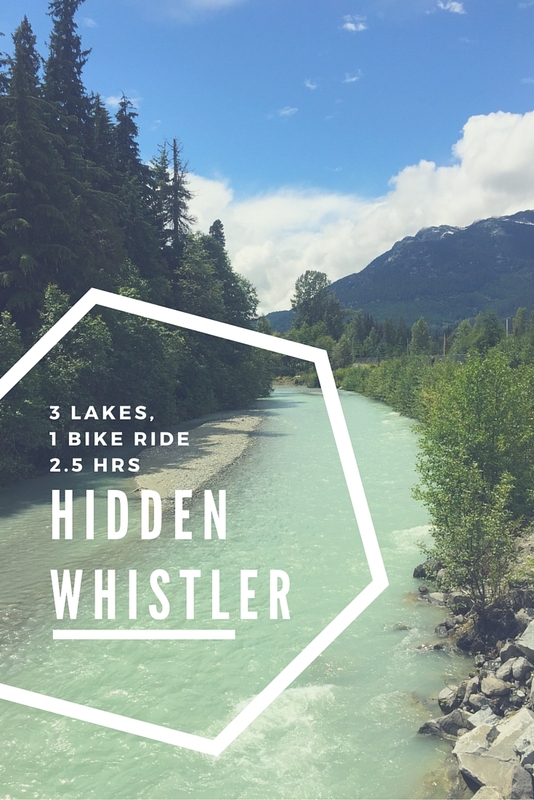 You can also stay in the guesthouse fit with a hot tub and a view. your blog and will often come back. I want to encourage continue your great job, have a nice weekend! Hello there. Thank you for featuring my art on your fabulous blog! It was such an amazing opportunity and the wine is lovely. Thanks so much for visiting my website Leanne! Love your work and am definitely a fan of yours and Therapy’s. Haha this is amazing! There’s definitely something ironic in having wine branded as Therapy Vineyards! What’s next? The Oedipus complex? The Unconscious? Again, the latter would be very ironic! I really love how creative they are with their names as well. If they did incorporate Oedipus I am sure it will have a clever twist – maybe Odipinot? Or perhaps something more well thought out lol. They could also dive into Carl Jung’s methods of therapy to expand their name potential. One of my favourite wines is their Freudian Sip. Thanks for visiting my blogs am always interested in finding local foodies. Thanks for visiting my blog as well. I can’t wait to see the posts that result from your visit to Italy! Now that is clever branding! I love the Rorschach theme labels and that they host contests for artists to give their own interpretation of Freud on canvas. Thanks for sharing! Actually, instead of the artist giving their own interpretation of Freud the artists usually present a work of art that depicts the Okanagan landscape. 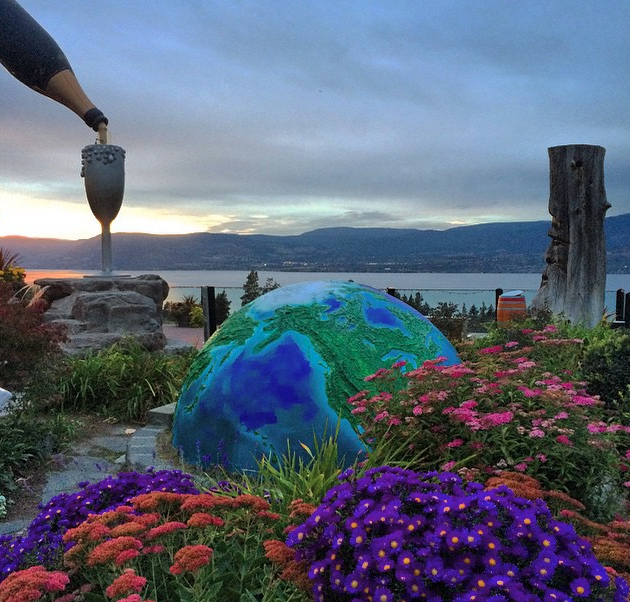 It’s a great way to show that our valley is not only a great spot for wine but art as well.